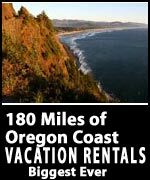 (Seaside, Oregon) – The grand, sweeping even looming landmark of Tillamook Head on the north Oregon coast is quite immersed in history. It goes back 15 million years when it was layers upon layers of lava. It saw its first visit of white Europeans in the form of Lewis and Clark, which gave the area its first rave tourist review. Tillamook Head also watched a major lighthouse come into existence then fade away, and it even saw a helicopter crash in the 1980s. (Photo of the bunker courtesy Tiffany Boothe, Seaside Aquarium). One striking, awe-inspiring tidbit of its history is still a murky mystery, albeit one seen periodically by the few adventurous hikers that dare to trek over its six miles of rugged forest and jagged, plunging cliffs. 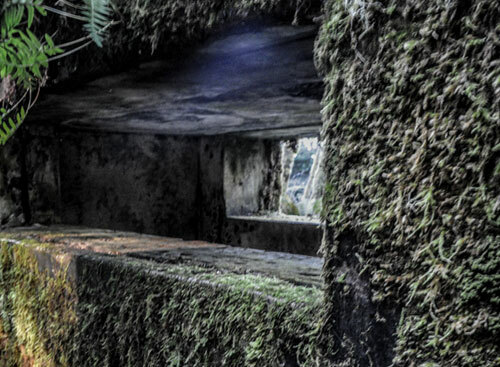 The old World War II bunker there, about 1.5 miles from the Cannon Beach end of the trailhead, is a weird and slightly spooky addition to the hike. Now, all you find are a few errant chunks of moss-laden concrete and metal, and that mysterious bunker that’s about the length of a school bus. Once upon a wartime, however, this spot buzzed with the secret activities and daily grind of military men set with the task of guarding these shores against a possible air invasion from Japan during World War II. You’re looking at ruins and remnants these days, but you’ll see no plaques or educational signage. Even in this modern age of frenetic internet information overload, there’s absolutely nothing written about this ancient vestige from the early ‘40s. Nothing. Photo OPRD: the type of antenna used by the SCR-588 radar system. Except, it turns out, the military historians at Fort Stevens State Park – about 10 miles to the north – have some information. But not a lot. What they do have is a fascinating, if not bare bones, glimpse into wartime on the Oregon coast. John Koch is a historian at Fort Stevens and a park ranger with the Oregon Department of Parks and Recreation (OPRD), which technically oversees this north Oregon coast headland. He’s not giving out much information – mostly because there isn’t much left. But OPRD is also concerned about people doing stupid stuff there, like trying to get in (you won’t like the bats, we’ve been warned). So he isn’t imparting everything. “I can tell you that the site was utilized by the U.S. Army Air Corps for about one to one and a half years during WW II,” Koch said. Exactly what years he either wouldn’t say or couldn’t. More mystery. The bunker was part of a radar station that kept a lookout for enemy aircraft. 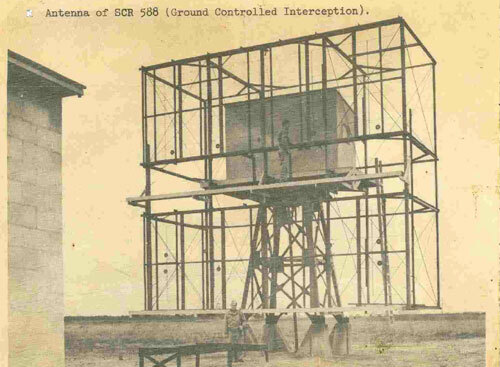 In fact, this reinforced structure held up the gigantic antennae, which were about 30 feet tall, judging by the historical photograph provided by OPRD. It was manned by a crew of eight men, who worked in shifts around the clock. That meant, according to Koch, that aircraft and ships could be dispatched to meet the enemy. Luckily, Oregon never experienced that full invasion. Although there was a run-in with a Japanese sub at Fort Stevens in 1942 and an incident with an explosive on the southern Oregon coast. 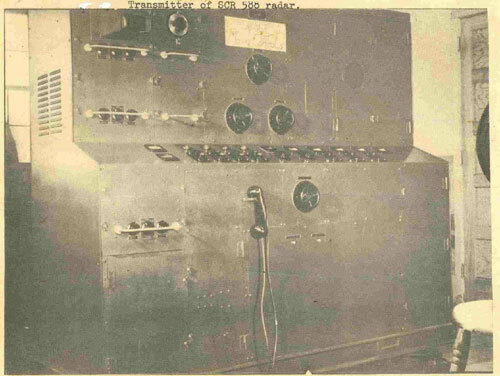 The radar station at the top of Tillamook Head had the call sign “Juliet-two, three,” or J-23. Those serving there were a part of the 4th Air Force, Western Defense Command, Pacific Coastal Frontier. They included the AWS (Air Warning Service) observers and GCI (Ground Controller Interceptor) units, Koch said. Even more amazing, the bunker and antenna were only one part of the whole operation. There was a full camp here once. It had a pump house and a barracks / house with a mess hall and store rooms. A total of 50 to 100 men worked and lived at J-23. Courtesy OPRD: typical layout of an SCR-588 station in World War II, though not necessarily that of the J-23. It’s interesting to note how many trees have grown back now. The area is under a dense canopy. Koch described a bit of what went on there. Courtesy OPRD: Inside the bunker during World War II. The bunker housed generators to provide power, a restroom, several work rooms, the bulky contraptions used by the radar system, and a room with a heating system and air purification system – in case they were attacked with chemical weapons. J-23 had a lot going on for a place that never had to send out a warning. Changes are coming to the site, Koch said. It’s on a fast track to become a national historic site, which means some heavy fencing is coming to keep people away from it.